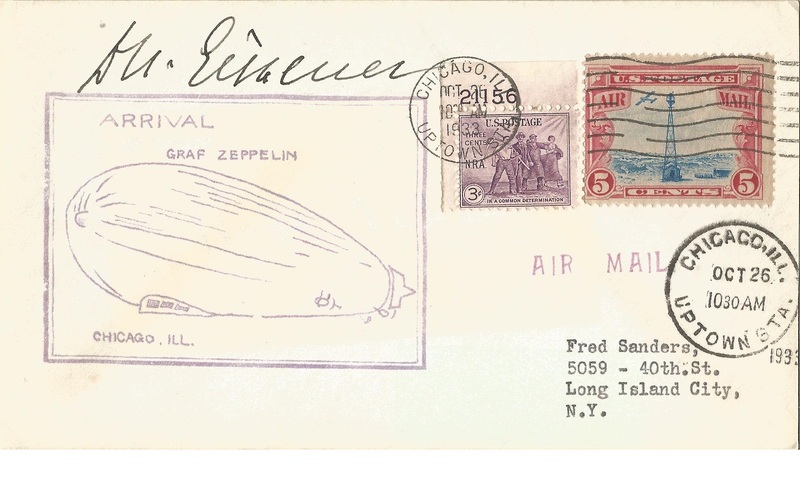 Dr. Hugo Eckener Zeppelin legend signed 1933 Graz Zeppelin arrival in Chicago cover, with 26/10/33 Chicago CDS postmark was the manager of the Luftschiffbau Zeppelin during the inter-war years, and also the commander of the famous Graf Zeppelin for most of its record-setting flights, including the first airship flight around the world, making him the most successful airship commander in history. Good Condition. All signed pieces come with a Certificate of Authenticity. We combine postage on multiple winning lots and can ship worldwide. UK postage from £3.99, EU from £5.99, Rest of World from £7.99.